and share your memories with us! What were you most impressed by in Florence? The multi-coloured and imposing Florence Italy Duomo? The romantic Ponte Vecchio bridge? Is your favorite Florence photo the one of the Statue of the David? The one in Piazza de la Signoria or you saw the real one in the Accademia of Florence? Or maybe you liked Santa Croce church in Florence most? Tell us, which ship you were on and when? 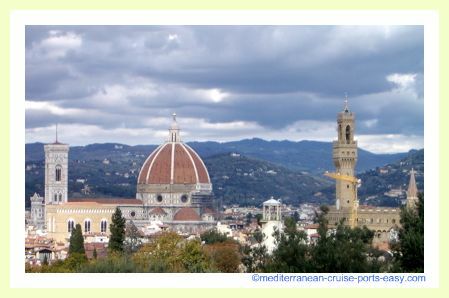 Why would you recommend that one of all Florence Italy sights most? Both our readers and us, we would love to see a photo of your visit to Florence Italy, too so go ahead and attach one! We will turn your Florence photo memory into a webpage. You’ll be a star so don’t forget to notify your friends and family to check it out! What's Your Favorite Florence Italy Photo?